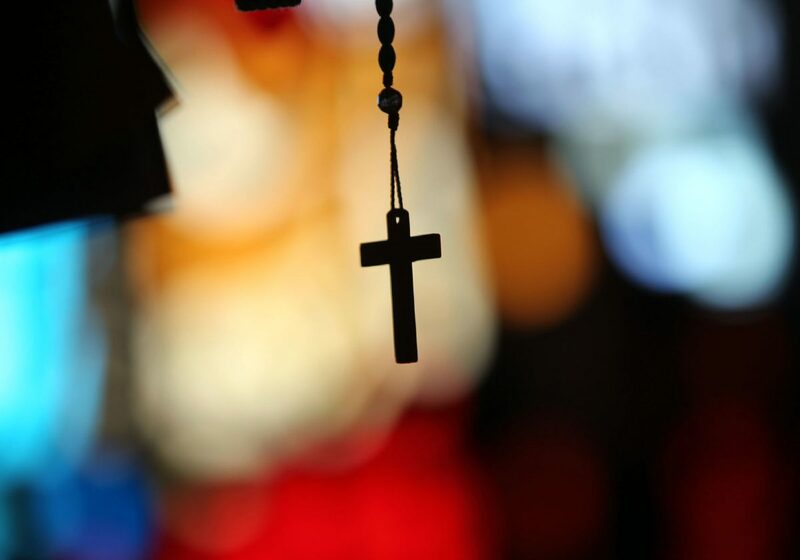 A worshiper holds a rosary during the Mass of the Lord's Supper on Thursday at the Basilica of the National Shrine of Our Lady of San Juan del Valle. SAN JUAN — On the evening of Holy Thursday, the Basilica of the National Shrine of Our Lady of San Juan del Valle opened its doors to begin the celebration of three holiest days of the Christian calendar. The days are a unified celebration of Christ’s death and the resurrection, known as “the Triduum.” Holy Thursday is also known as Maundy Thursday, the celebration of the Lord’s Supper, when Jesus gathered his apostles the night before his death. 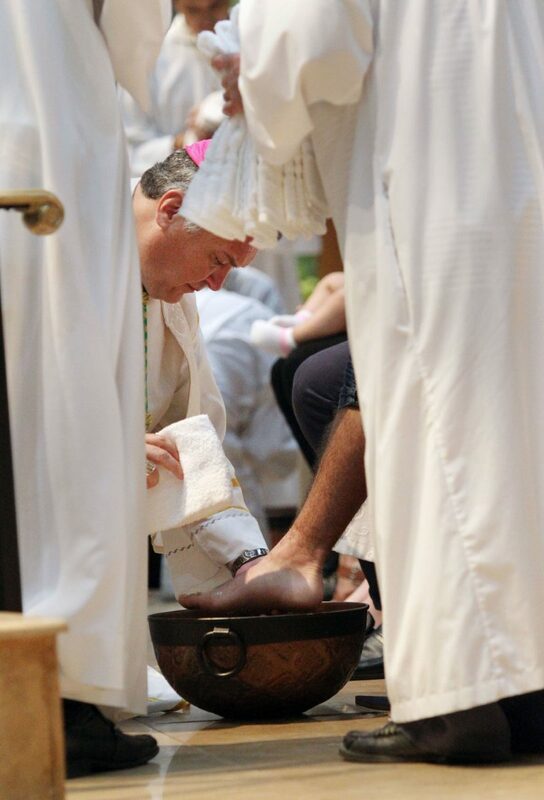 During the special Mass of the Lord’s Supper, the ritual ceremonial washing of the feet was led by the Rev. Mario Avilés. The ritual washing was performed on 12 participants. Auxiliary Bishop Mario Alberto Aviles washes the feet of a parishioner during the washing of the feet ritual at the Basilica of the National Shrine of Our Lady of San Juan del Valle on Thursday March 29, 2018. In the Catholic Church, the ritual washing of feet is now associated with the Mass of the Lord's Supper, which celebrates in a special way the Last Supper of Jesus, before which he washed the feet of his 12 apostles. Salome Lira of Mission kneels in prayer before the start of the Mass of the Lord's Supper at the Basilica of the National Shrine of Our Lady of San Juan del Valle on Thursday March 29, 2018. 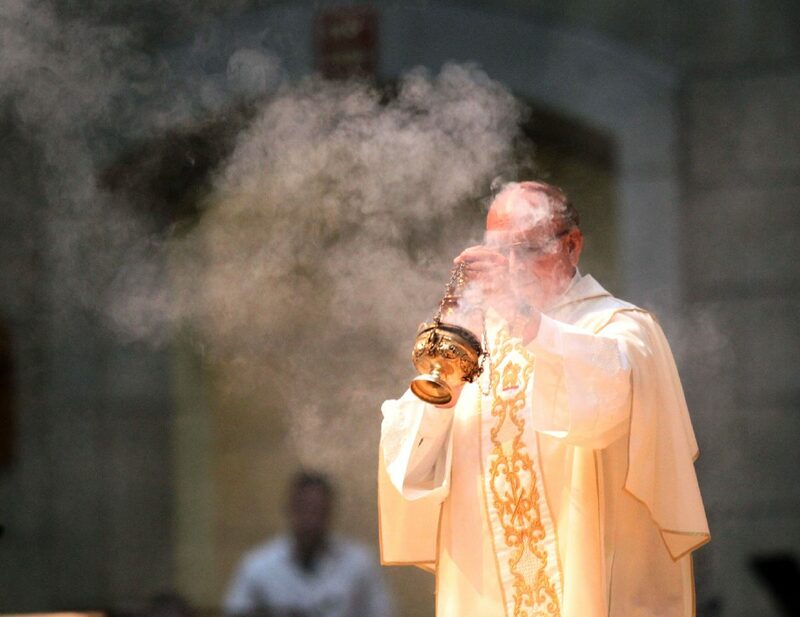 Smoke from burning incense rises during the Mass of the Lord's Supper at the Basilica of the National Shrine of Our Lady of San Juan del Valle Thursday March 29, 2018. 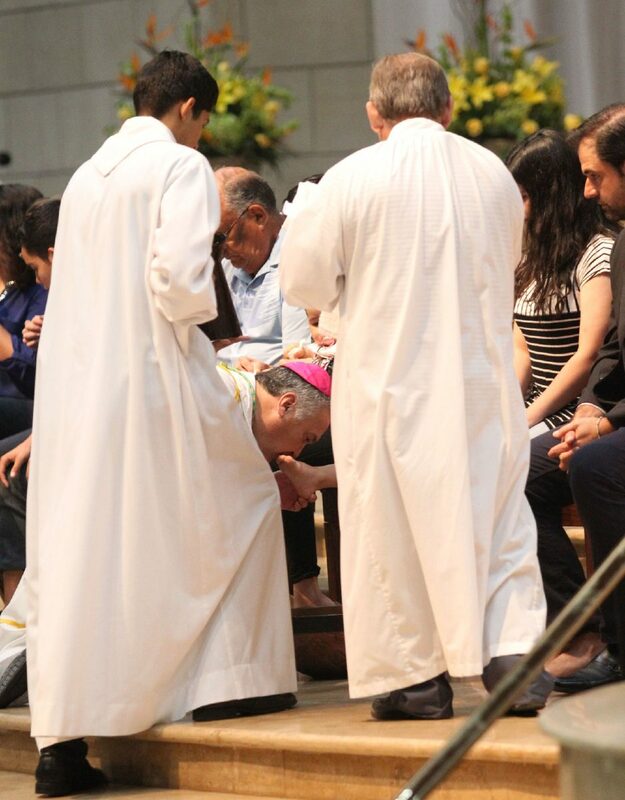 Auxiliary Bishop Mario Alberto Aviles kisses the feet after washing the feet of a parishioner during the washing of the feet mass at the Basilica of the National Shrine of Our Lady of San Juan del Valle Thursday March 29, 2018. In the Catholic Church, the ritual washing of feet is now associated with the Mass of the Lord's Supper, which celebrates in a special way the Last Supper of Jesus, before which he washed the feet of his twelve apostles. 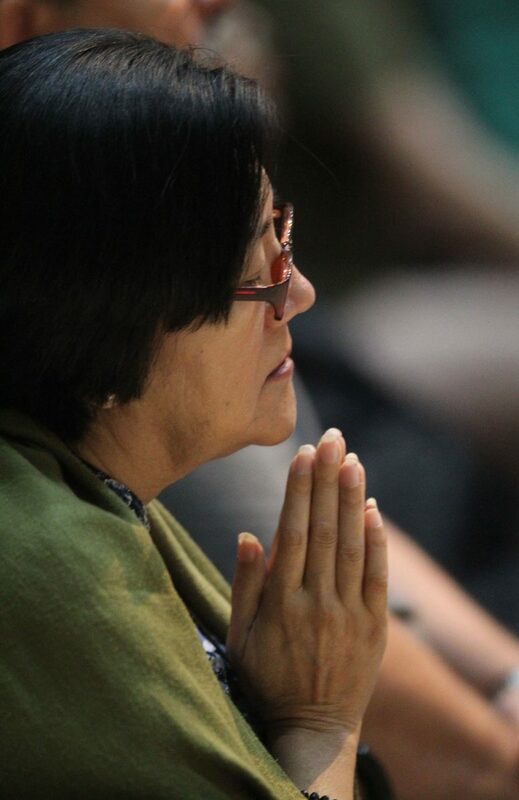 Leonor Pintos Flores of McAllen prays during the Mass at the Basilica of the National Shrine of Our Lady of San Juan del Valle Thursday March 29, 2018. Aviles said Jesus, in washing the disciple’s feet, wanted to teach us to be of service to one another. One of the ceremony participants was América Peña, who was sitting in the first row clutching her 10-month-old daughter Francesca before having her tiny feet washed. “It’s visual and sometimes being visual, it feels like just being there and going through the motions, being part of the re-enactment.” Peña added. All 12 participants sat in the front-row pews before being called to the altar, where they sat on two long wooden benches. The participants were asked to remove their footwear, then dipped their feet in a bowl of holy water. After removing and drying their feet, Aviles proceeded to kiss their feet one-by-one before placing their footwear back on. The ritual imitates Jesus’ Last Supper action of humility and service, which reminds Christians that generous, humble service is a vital part of what it means to follow Jesus. After the washing of the feet, distribution of the blessed bread followed with the Adoration of the Blessed Sacrament to continue until midnight. The second day of the celebration continues today, Good Friday and the Easter Vigil, on Saturday is the third day. Good Friday focuses on Jesus’ passion and death. It is the anniversary of the death of Jesus on the cross. 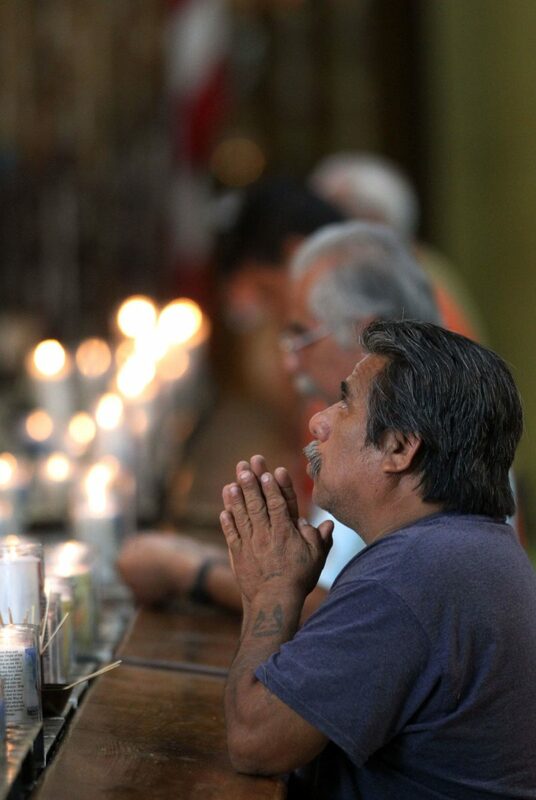 The basilica will hold the Stations of the Cross ceremony at noon with Bishop Daniel Flores. The veneration of the cross begins at 3 p.m. The Easter vigil Mass is at 8 p.m. on Holy Saturday.